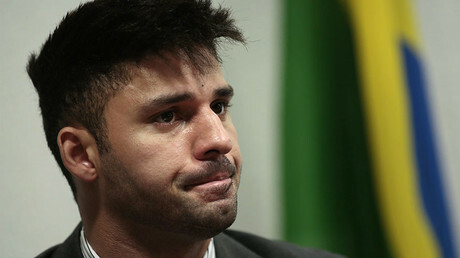 David Miranda says the public has the right to see documents leaked by Edward Snowden, which he plans to release soon. 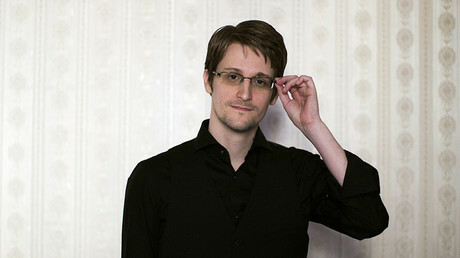 However, Miranda told RT that he has been pressured from US and UK security agencies not to disclose the documents. RT: As we understand we are on the brick of new disclosures? Are we going to have any new surprises? 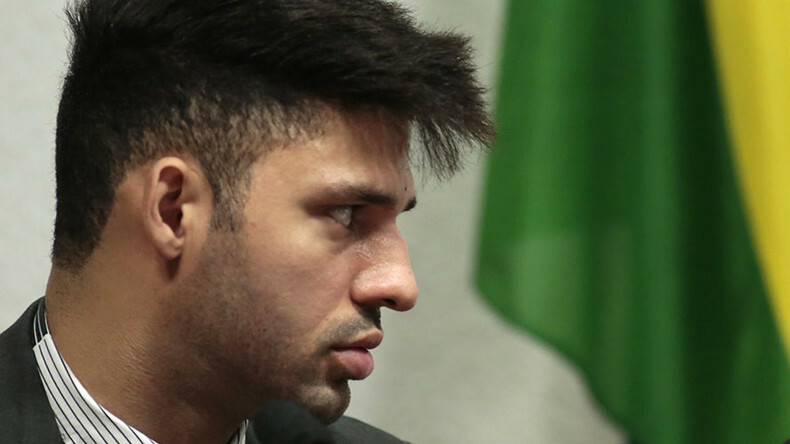 David Miranda: I imagine everybody is going to have a lot of surprises with what you can find inside those files. There are a lot of files that we didn’t use for a reason. And for a lot of reasons we have now a lot of pressure, a lot of people want to see that. And we had long conversations over the years [about] whether should we do that or not. And now we want to do this, because we owe [it] to the public to be able to see what is inside of those documents. RT: And how many of the documents or materials that you have are you planning to disclose in the next few weeks or so? DM: I cannot say certainly, but most of the documents are going to be online and people and journalists are going to be able to access that and see the information that we got from Snowden in 2013. RT: You spoke about pressure from the public to see these documents, see what you have. But have you received any pressure not to publish it? DM: Always. Every time that we wanted to publish something, the agencies – NSA, GCHQ – they always said that if we published that, it was going to be a threat to national security and all this bullsh*t they always say to us. So they always kind of threatened us that we are going to be harming the countries by doing that. We haven’t had one single case of that happening in the past and it’s not going to happen now. We know how these governments say something to frighten you. RT: What process do you guys go through in order to estimate what material you can publish and what could be a possible threat to national security? Is there a process? DM: There is. In the beginning we would use a lot of the knowledge of the experts that we would consult first. The time passed and we have our own crew inside The Intercept that would look through that and would give their expertise: Would that ... harm somebody or not? And of course as journalists we have sensibility for material, so we would look at material and say: ‘Will this be a problem for the US and relations with this country?’ But also it’s the major goal for us to show the public what really is developing inside of those countries: whether they are spying or doing something wrong. So, we put on the table what is in the public interests and how we can show that without doing any harm. And I guess so far we have done that pretty [well]. RT: Yes, because nothing you guys have published has harmed any sort of national security. But do you act responsibly? DM: Yes, we do, we have always been very careful with everything that we are going to be publishing … All the newspapers that we publish with around the world are respected ones like New York Times, Der Spiegel, The Hindu. All around the world we publish with very secure journalists who have been working for many years. So we are very careful in the process of publishing. RT: Now this is the process that you guys have completely controlled, and you have a systemic way of approaching it. And you have certain things you know you have to do. But take me back to those first days back in 2013. The first hour when you guys were in Singapore and afterwards in Berlin when you really didn’t know what you had with you. Was it frightening. Was it exciting? DM: That was very exciting. As journalists we are looking through that, we are trying to find gold and everything was very interesting for journalistic materials. But also we were very careful with everything that we wanted to publish because we always had that threat that we are going to harm national security. But in the end of the day it was like three hours of sleeping, working with like ten journalists from five different countries at my house where we spent days. With every story that got published, we had to do a follow-up. It was very exciting and we barely knew how much time has passed. Now we have control over the situation, but back then we did have control but there was more work, constant work in all the countries and so many interesting journalists that we had to meet in the process. With different views. And sometimes we had to struggle with some of them. They didn’t understand what we wanted to publish. Sometimes we had to agree with something different. It was fun, but I lost like ten kilos over the first six months. I forgot to eat, I forgot to drink, [it] was just constantly coffee and working. RT: Those days were very intense, even fun, you said, lots of work, but were you frightened that something could happen to you? DM: In the beginning in April 2013 we met with Laura [Poitras]in Yonkers. And then we saw a glimpse of what would be the archive that would be given to us a month later. So before Glenn jumped on a plane to go to China, we sat for like five or six hours and we just went through everything that would change in our lives from that moment on. We knew that we were going to go against governments that are very powerful. We knew that they could do some harm to us. And we made that decision. Then once [we] made a clear decision, there was no fear in that, there was only a battle ... to face every day against those in power. So we made that decision and we went to war. Of course there were moments that I was afraid for my life and Glenn was afraid for his life. But we still had it in the back of our minds that we are taking this risk because we need to shine some light on those that are in power and [who] used that wrongly. So we made that decision in the beginning. RT: Obviously one of the days when you were frightened for your own personal security was that day in the London airport of Heathrow: Nine hours in custody, interrogated, all of your material being searched. How did you live through these hours? DM: Well, actually it was twelve hours. For nine hours they held me inside a room, plus three hours they held my passport inside of the airport. It was a really hard day. Every time I have to talk about that, the emotion come vivid into me. Last week I was doing an event and talking about that, and I got shaky because of the entire situation. It was a really hard experience. I was working before this whole process happened – with the Oliver Stone and Glenn – we are going to do a documentary about the families who have somebody whom the government of the US or one of the other governments got and put into Guantanamo. So I knew back then what these governments do when they say they use anti-terror law. I knew they have limitless powers. My strategy in there was that I needed to understand the whole situation they are putting me through and I had to survive the situation. I was very cold in that first moment, but at the same time I knew that I could be vanished from now at that moment. First thing they have to do they had to explain why they were holding me there. They started explaining the law to me and I would interrupt them every single sentence because I needed to know exactly how I could get out of there, what I needed to do and how long they can hold me. So they explained to me that by the law they can hold me for nine hours. So I put it in my mind – I have to kill nine hours. You have one call to a lawyer from their system or outside their system. One call, you can talk to one lawyer. So I say: ‘Okay, I have to talk to one person I trust the most.’ And you have to fully cooperate with the agent. And if at the end of the nine hour the agents think that you didn’t agree with them, that you didn’t cooperate, they can send you to prison. So here’s you sitting in a position: you have to kill nine hours; you have one contact, it’s going to be lawyer that you don’t know if you are going to be able to get; and you have to cooperate with them and answer all their questions. Because if you don’t, if you keep silence – you are not cooperating and they can take you to jail. RT: And you have very sensitive material with you? DM: Yes, that too. So it was like a struggle because they would ask me a question ‘What’s your name’. I would say ‘David’. ‘What’s your full name?’ And I would engage in a whole fight with them. So up to certain points they would trap me: ‘Sir, you have to answer that question’. And I would look to them and say: ‘Why do I have to answer that question?’ ‘If you do not answer this question, you’re not cooperating and you’re going to jail’. They asked about my family, my friends, what I was doing in Germany, asked about my relations with Glenn, with Laura. They ask all kinds of questions. But, like I said, family and friends … was when it got to me to a certain point, because Glenn and I, we both signed up for this. I sat down, we knew that we’re going to be taken but my family have nothing to do with that. My friends have nothing to do with that. When they got into that point where it started breaking me: I was accepting that I was going to go to jail. I was glad that was me, not Glenn. I was afraid for myself but at the same time relieved that was not him because if I was outside I would not know what to do in that situation and I would have gone crazy. So, yeah, it was a really difficult experience and I only wanted to go back a little bit. They would use techniques against me. Like they would get two cups of water and just put them on the table. And the agent would drink their water and ask me if I was not thirsty, if I wanted to drink. He did that like six times with the glass of water. I spent all twelve hours without drinking, without eating and without going to the bathroom. I was afraid there was something in that water. And he did that systematically. He would drink and make the sound ‘Ahh’. I didn’t accept anything from them and didn’t get anything from them. Then three hours passed and I got a cellphone [the agent] wanted to give to me: ‘Remember, that you just have one call and you can talk to one lawyer.’ I did not accept a lawyer from their system. So I say: ‘You get me a lawyer from the Guardian’. So they went and got me a lawyer from the Guardian. You know what time my lawyer [came]? After eight hours and 50 minutes was when I was able to talk to anybody. Seven different agents asked me questions intensely for eight hours 50 minutes. It was a long long day. It was a struggle that I am here able to tell people what those governments are doing. And after that they wanted me to walk freely inside of their country. I talked to my lawyer but they wanted to stamp my passport and just make me go inside London, UK. At that moment I was in Heathrow’s lounge. And their boss, who was outside the door when they changed the agents and never walked in, at that moment he was on the phone very proud of himself. He took all my material, all journalistic material, under the European anti-terror law. So he took everything, he stripped me of everything. He was all proud. So what I did was I started screaming out of my lungs: ‘I want to talk to my ambassador. I want to talk to my lawyer. They had held me here for nine hours.’ When I started screaming everybody started shooting, picking up their cellphones. It was the first time he [the boss] came and acknowledged my presence and he [whispered] ‘You’ve got to shut up…Shh’. And I was like: ‘If I get to your soil, I would go to every TV station and tell them what you did to me today. And you get me a ticket to go back to Brazil’. And that’s what they really did for the last two hours. They struggled to get my ticket to go to the British Isles but they could not get it because it was all full. They tried to pass my big luggage inside. They wanted to break all the rules in the airport. They didn’t let them. So they had to get me a late ticket. And it was finally when I was in the detour for the airplane that they’ve given me my passport back… And I was able to talk to an agent and I said ‘Look, they just had me here for 12 hours. My partner doesn’t know what’s happening to me. I need to make a phone call to Brazil.’ And he ran and he got me a cellphone, and I called. Glenn didn’t answer, and I called a friend of mine and told them ‘Look, this is my number of my flight. I am going to be coming to Rio’. And I get inside the airplane and I couldn’t sleep the entire night. RT: That is what I was going to ask you about. About 85,000 in the last few years. Allegedly, more Muslims than any others. RT: I am asking about the terrorism act. The court of appeal actually said it was justified what happened to you. DM: Yeah but we won in the broader aspect. We won because there was one for the democracy, one for the journalism because they cannot be using that law against journalism anymore. They are going to have to change that law and you, if you go past through that with your journalism material, they won’t be able to process you under this law anymore. They have to change that law now. And the process that they say was lawful, that it was right to do that to me, because they don’t want to be incriminated themselves. We won because they will not be able to do that in the future to any journalist, because this is incompatible with the European Convention, like I said. RT: That was, obviously, a victory for the freedom of press, freedom of speech. But how can journalists move freely if they have information with them. What else has changed since the elections? DM: Well, you see it every day now in our daily lives. Your cell phone, you have all the apps – WhatsApp with the encryption. You have the iMessage that is encrypted. You have Facebook – there is encryption now. What changed was not the posture of the governments, it was actually the private sector. Not because they want to be nice, but because there was public pressure on them and public pressure on the market. Companies in Germany would announce: ‘Use our social networks, because if you use our social network we will protect your information. And don’t use Facebook.’ That becomes something that could be sold. So those companies changed their posture not because they didn’t want to be liar[s] with their governments, but they changed their posture because they would lose consumers. So, this is how our world operates, this mechanism. But we actually made huge changes on that segment because today we have the right of privacy on cellphones, in emails we have way more access to privacy this very day [that] we didn’t have before. 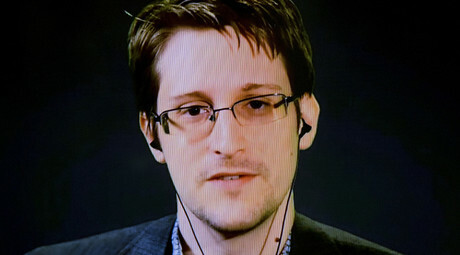 RT: In 2014 you met with Edward Snowden in Moscow. Have you been there with him since then? How is he in Russia? DM: I’d rather not comment on that. But we talk with each other almost every day. We have secure channels that we’ve been talking [through]. We have this close relationship. He is doing whatever he wants to do. He is free to walk around there, he’s been able to participate in this entire debate he helps to create. And he helps to shape the entire debate around the world. So he’s doing fine. He signed up to show the world what the US was doing in their lives and he was willing to pay the price to be in jail, in solitary for the rest of his life. And right now he is right over there and he is free and he’s been able to participate in this debate that he helped to create. So that is fantastic for him. Some people actually call him a traitor. But I don’t give value to those people because they don’t understand the concept of freedom. To call him a traitor is not understanding the concept of freedom. He was willing to give up and sacrifice himself in order to show the entire world what was his government and its allies doing. He has sacrificed himself to do that and people who call him a traitor don’t have any knowledge of what freedom means. So I don’t respect those people. DM: This is a very bad scenario for Brazilians and for the international world. I think this entire process is totally illegitimate because the ones who are pulling this, the people who are in the government right now and those voting against Dilma [Rousseff], are the ones [who are] corrupted. They put this entire process, they moved the public opinion with the big media corporation. So it’s a real blow to democracy and they are using all the laws to do that. It’s totally illegitimate. I don’t accept that government in there. I’m not saying I was comfortable with the government of Dilma, but at least there was a democracy that we voted [for] and that was in place. But let’s not compare this with the coup that happened in 1964 because that was a different process. It was a takeover by the military. This is a process that is not legitimate but is giving so much harm that we can’t measure right now. This is going to be something we are going to be able to measure in five to 10 years because of the relations that Brazil has with MERCOSUR, with the BRICS and other countries. The way the other countries are seeing Brazil right now is that this is such a young democracy, they are so corrupt that those who wanted to take power go and take it. So how is this going to show the world how they are going to have relations with Brazil? They wanted to put companies here, they want to have bilateral relations with Brazil. If they cannot trust this government that is here, in place, if they cannot trust this democracy that is going to be going forward. RT:Is this an all-Brazilian phenomenon or are there some other countries with bigger interests taking part in this process? DM: I don’t like talking about things that I don’t actually have documents to prove, but there are a lot of people who actually say that the US and other countries are plotting this. But unless I have the actual evidence of countries plotting with the US, Brazil, or other countries, I’d rather not just say that. RT:What do you think about the WikiLeaks revelation that Michel Temer was actually an informant for the US embassy down here in Brazil? DM: Well, it was very shocking, but not so much. We know that the government of the PSDB [Brazilian Social Democracy Party] used to have really close relations with the US. They wanted Brazil to become this magical world with open commerce, but the situation had been bad for many years. And they wanted to do that in the 90s here in Brazil but the entire left made a movement against that. And we won in 2002. Lula got into this process and didn’t let that happen. And then he built up a relation to become the MERCOSUR, and Dilma now with the BRICS…. We create diversity of how we can actually have relations with other countries. 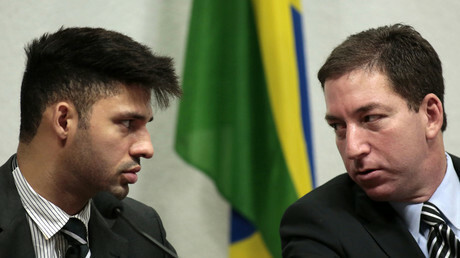 But with this government getting here, I get very cautious because last week – just a position of the Itamaraty [Foreign Ministry] - it's not a diplomatic situation. [Jose] Serra is over there... how is he going to interact with other countries? It’s harming our nation and how the other countries are going to perceive us.